Victorians loved bags, containers and pretty boxes to store clothing accessories and sewing items, of which many of these storage containers were hand made. 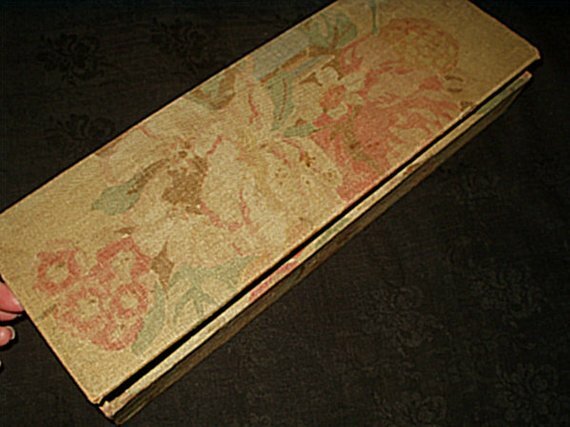 The Gatherings Antiques Vintage is offering a cloth covered wooden box which possibly held gloves. Gloves of all lengths including opera gloves would fit appropriately in this container.